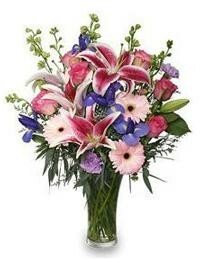 A New Leaf Flowers & Gifts has been a leading full service florist in the Madison and surrounding area for many years. 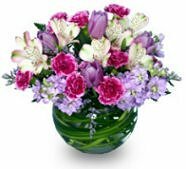 Whether you prefer something time-honored and traditional or something contemporary and modern, we design breathtaking fresh flower arrangements for all occasions from sympathy, weddings, anniversary, birthdays, and get well. When you’re looking for something special, A New Leaf is your Madison florist that has what you need. For your convenience, we offer delivery to all local funeral homes and hospitals. Wedding & Party Flowers ~ With A New Leaf Flowers & Gifts designing the flowers, your special day is sure to be a blooming success!! Call us in advance to set up an appointment with one of our wedding/event coordinators. Locally Grown Flowers ~ Ask our staff about flowers that we are proud to say are grown in Wisconsin. We support our local farmers and provide our customers with the freshest products available. Family Owned ~ We take the time to listen. Creative ~ If you have a unique request, just ask. Visit our Store ~ To see the ever changing Holiday decorations. If we don't have it- we will get it for you! !